From Mary Rowen’s blog – the incomparable poet and our friend Duke. Today, I’m thrilled to have Duke Miller as a guest for Music Tuesday. “Songs of Paper” is an excerpt from his forthcoming book, On Damaged Ground. 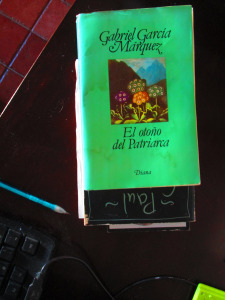 I am certain that “The Autumn of the Patriarch” by Gabriel Marquez is a good place to start a story about music.